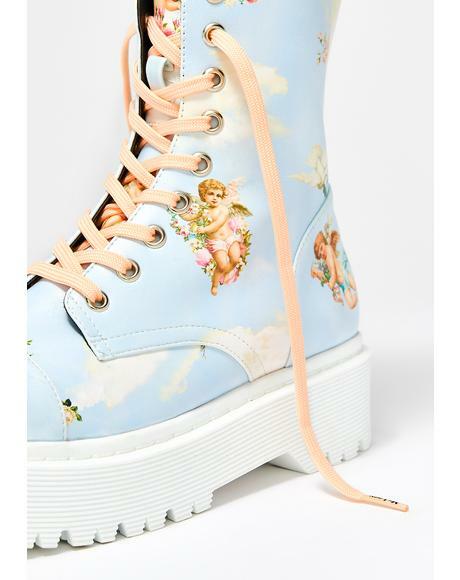 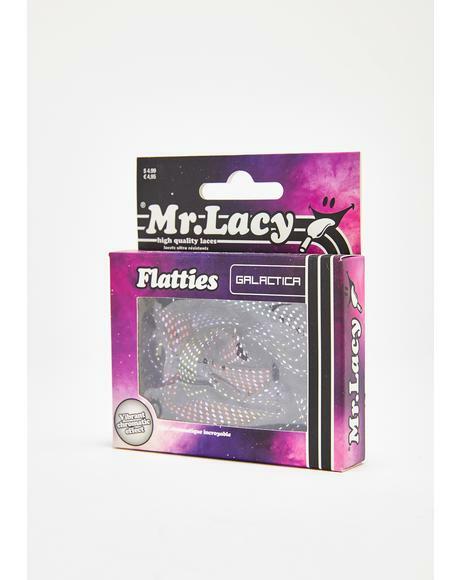 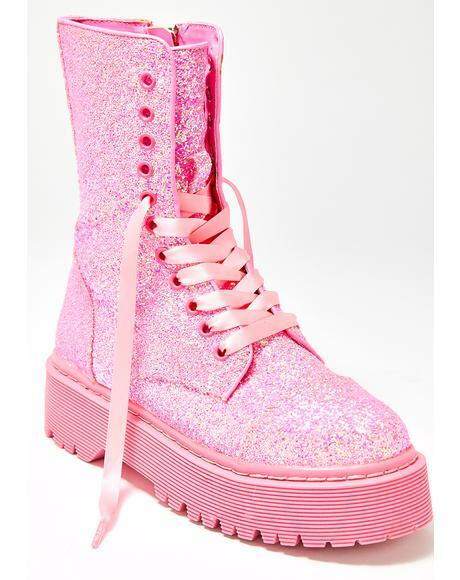 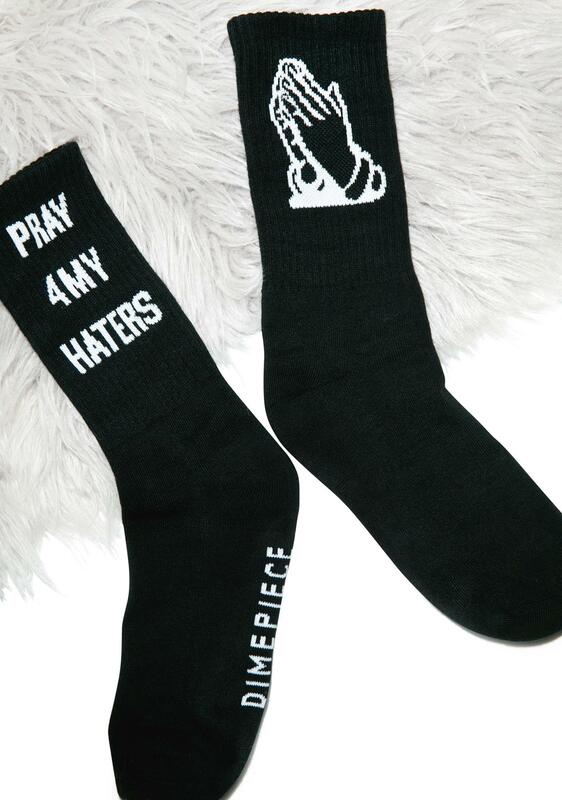 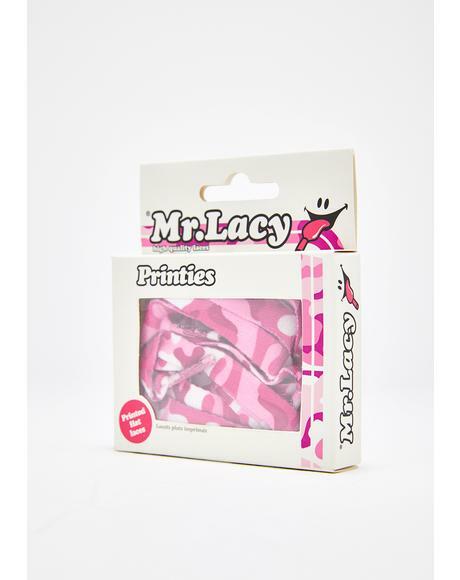 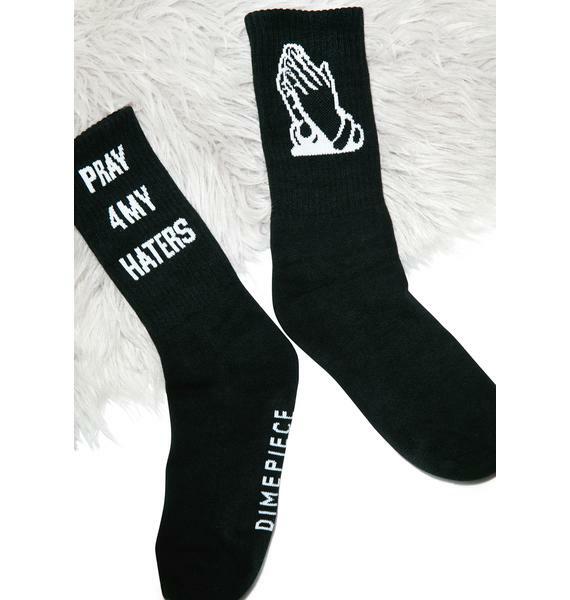 Dimepiece Pray 4 My Haterz Socks even a hater is a fan bby. 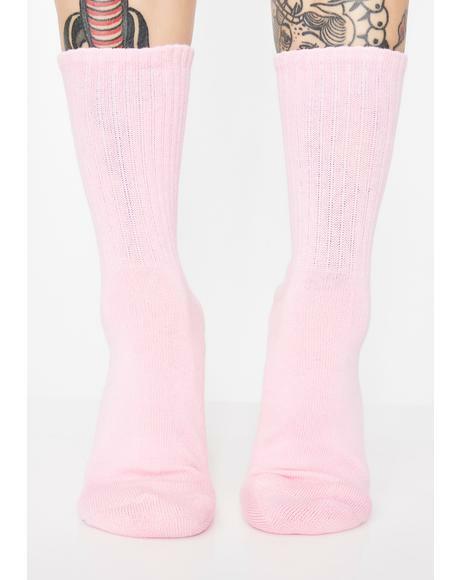 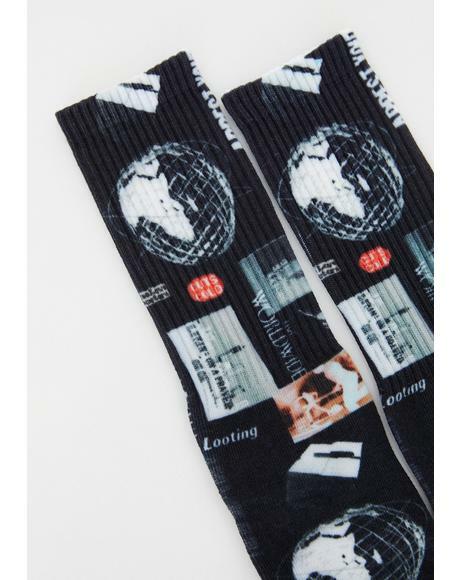 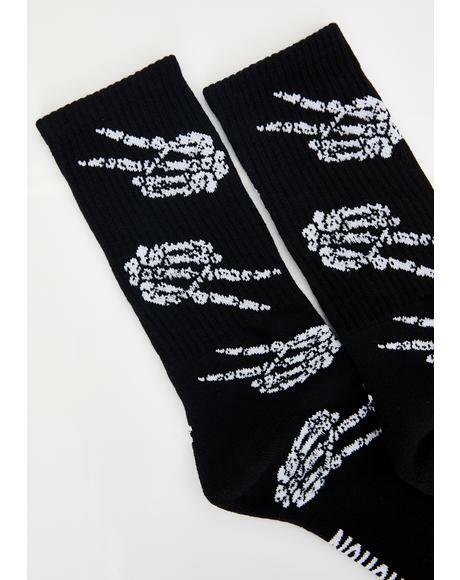 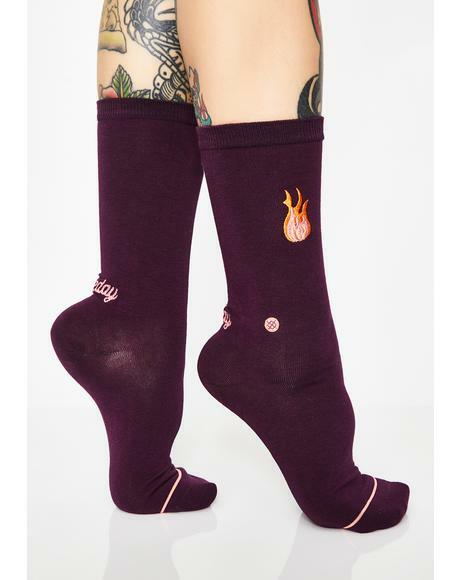 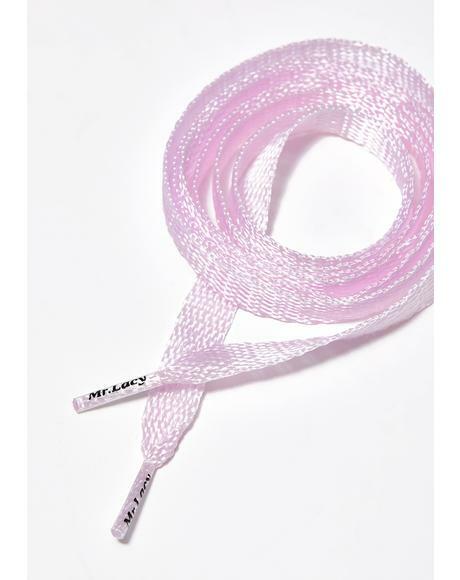 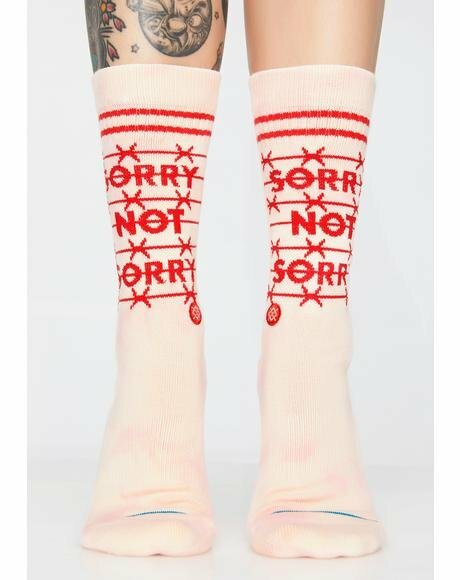 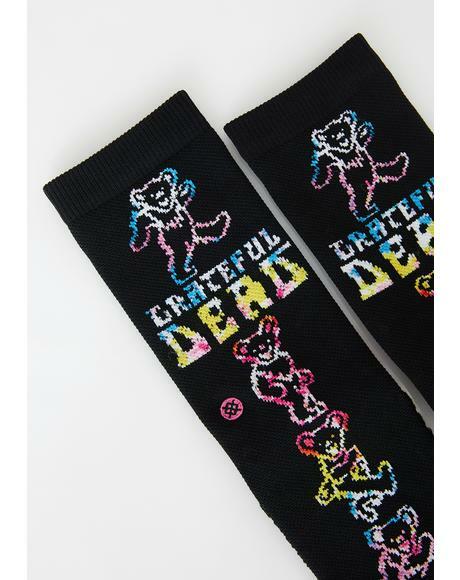 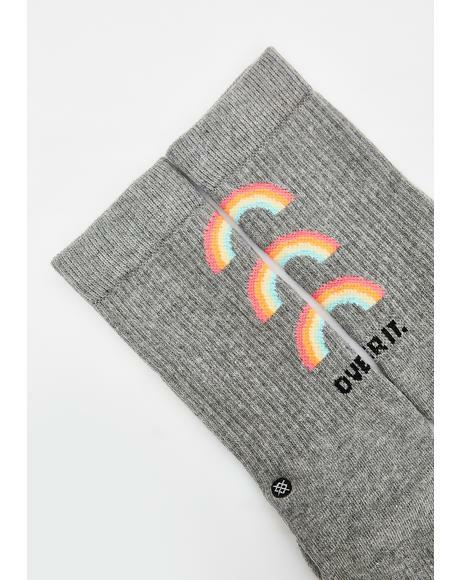 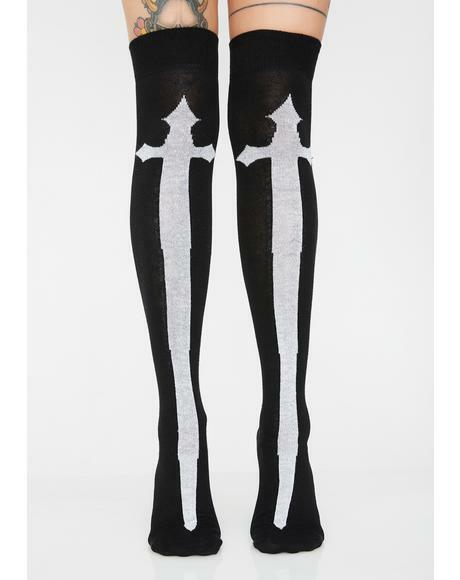 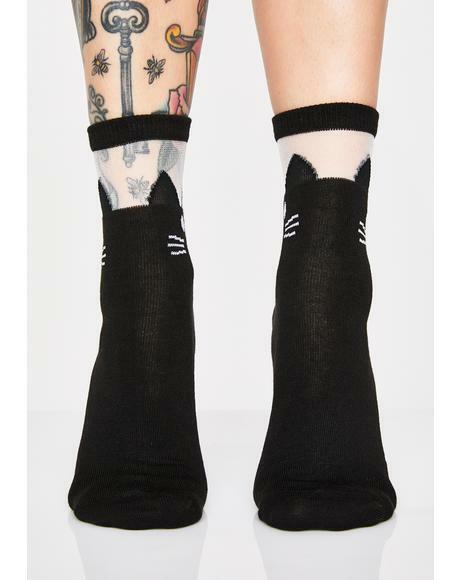 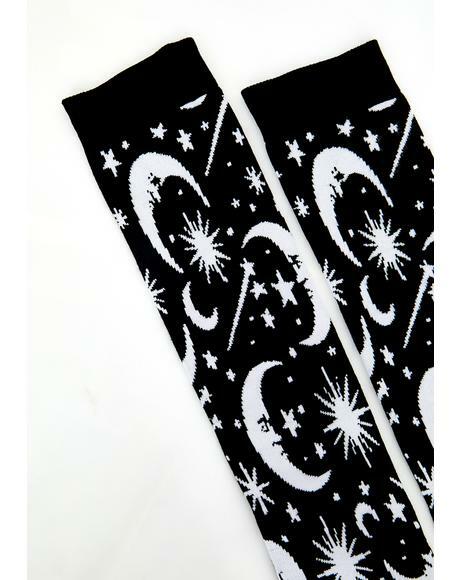 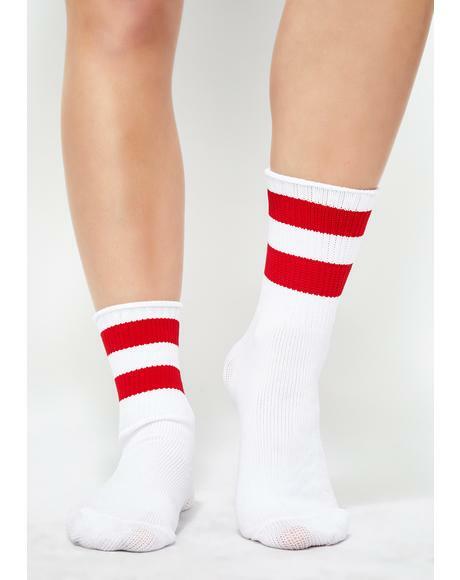 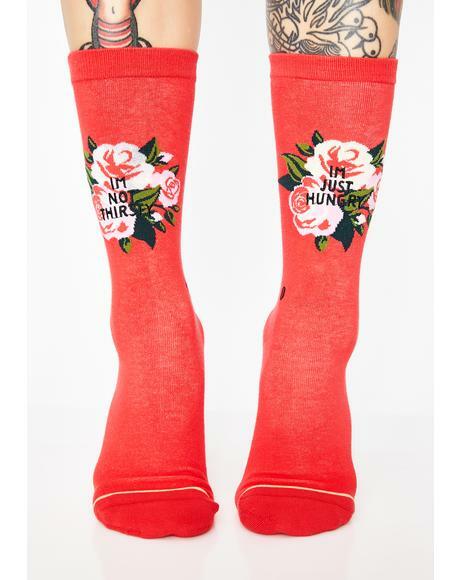 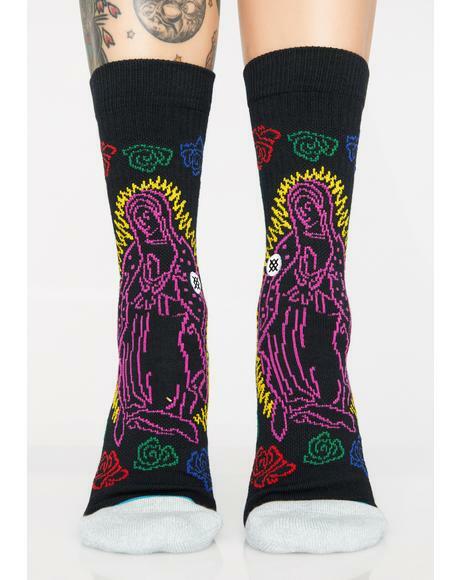 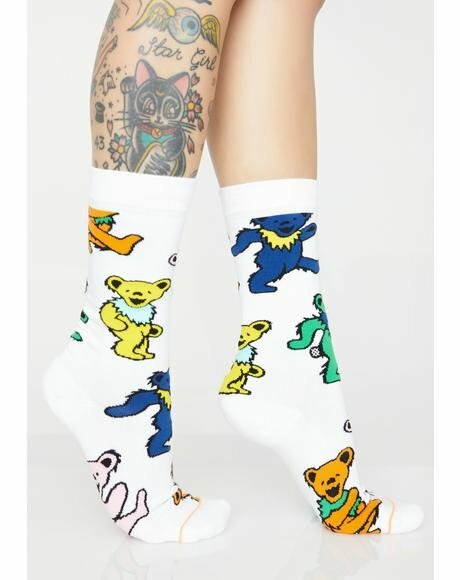 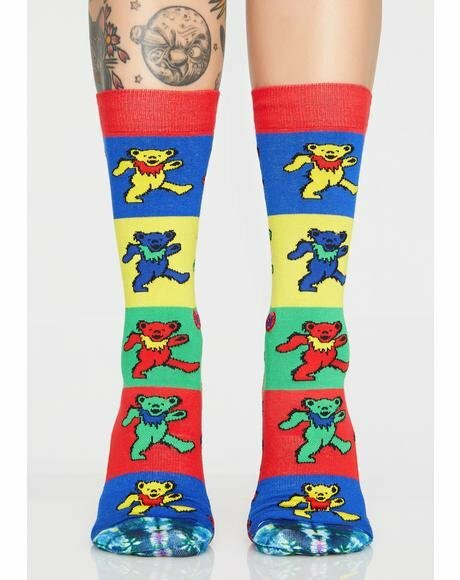 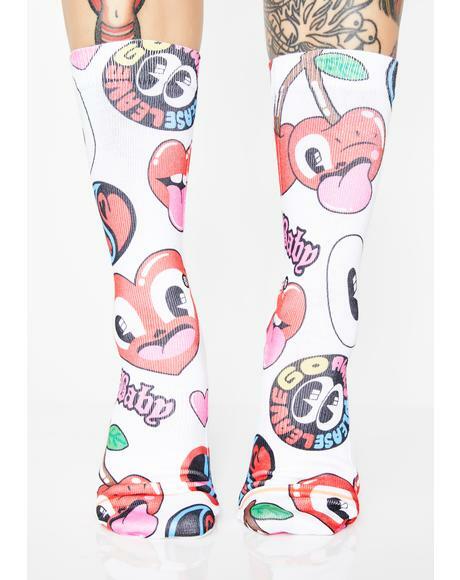 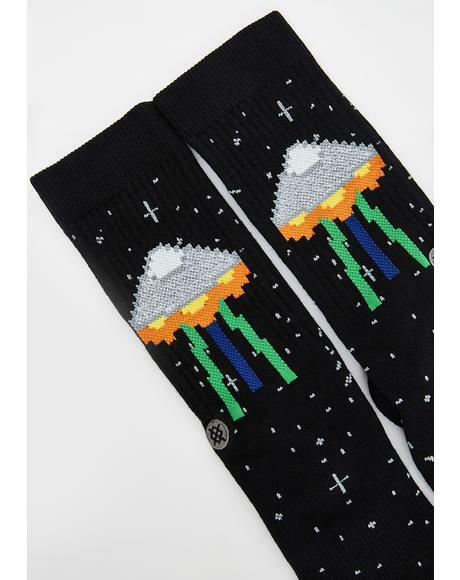 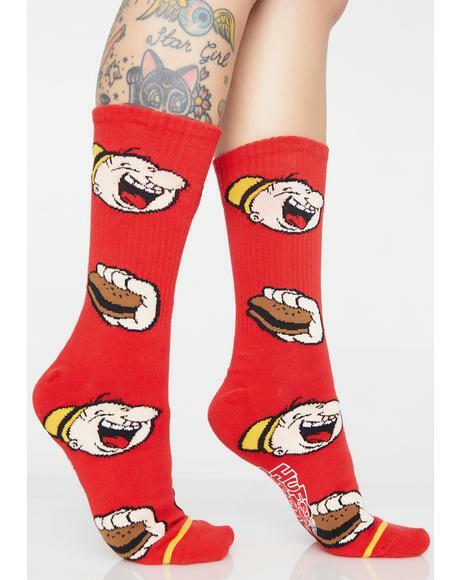 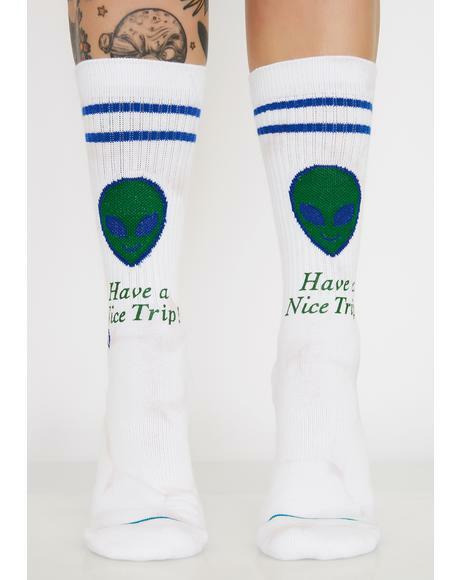 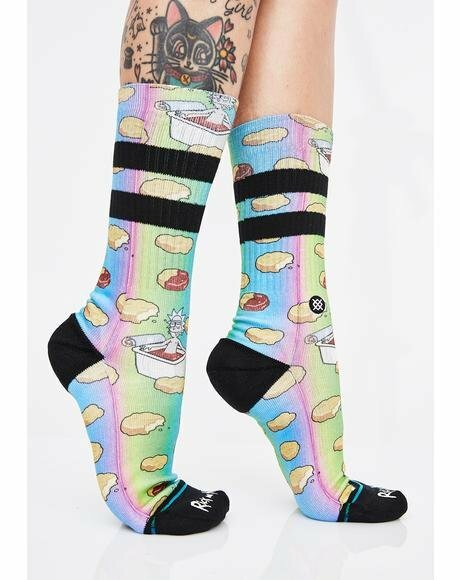 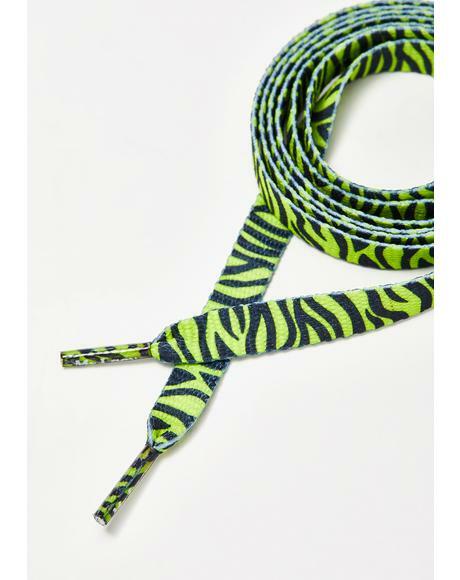 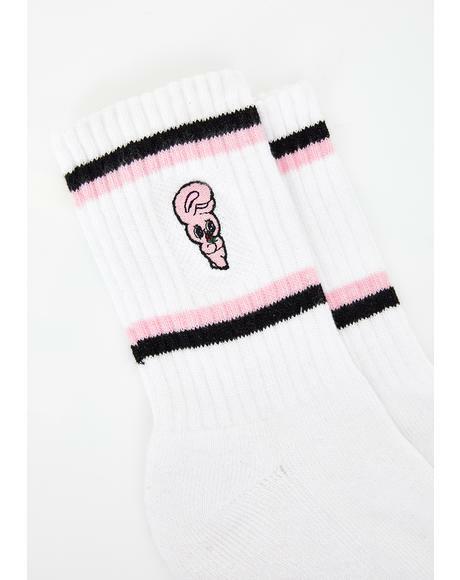 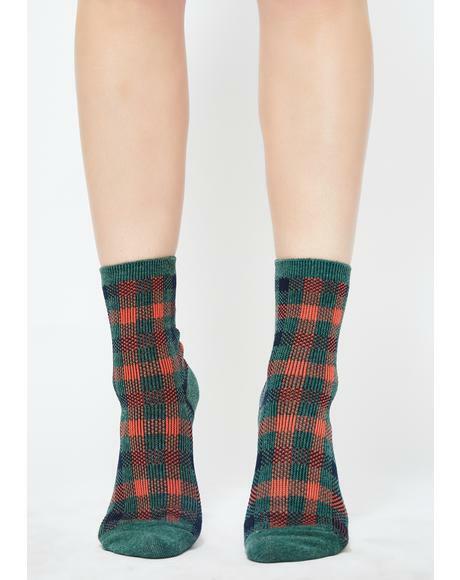 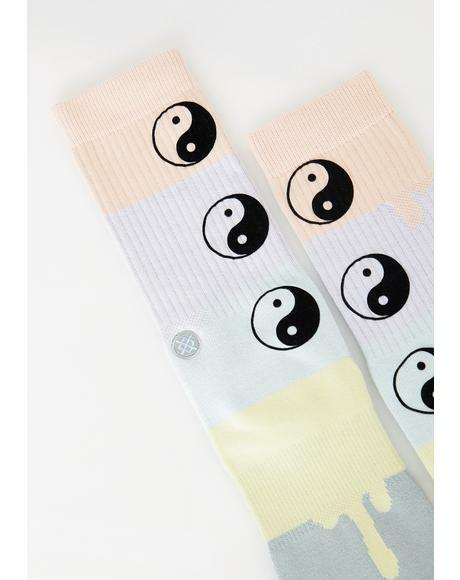 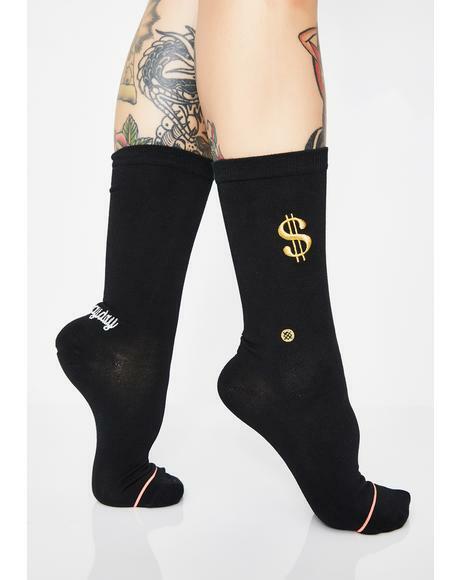 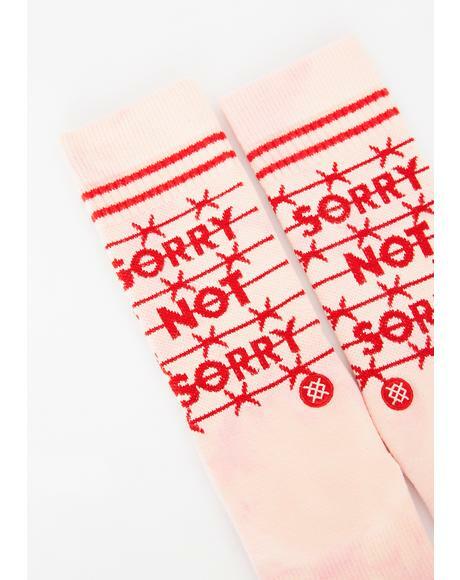 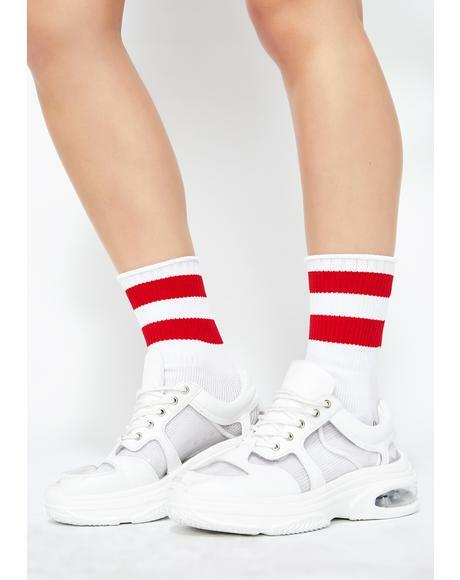 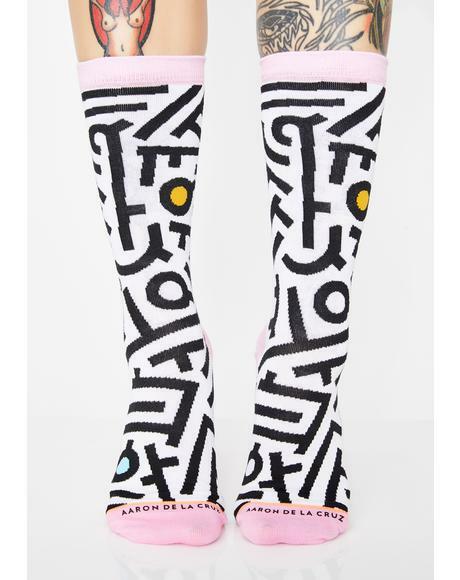 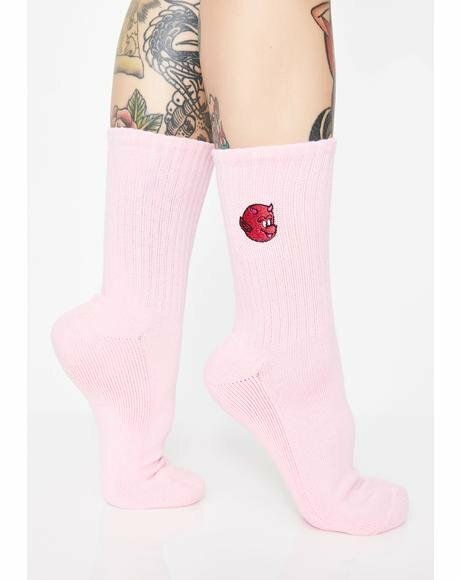 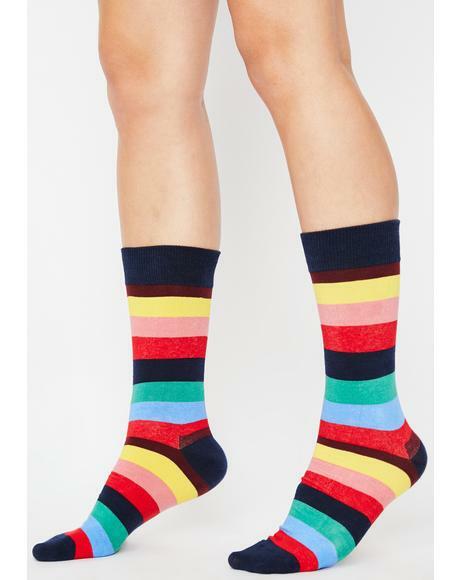 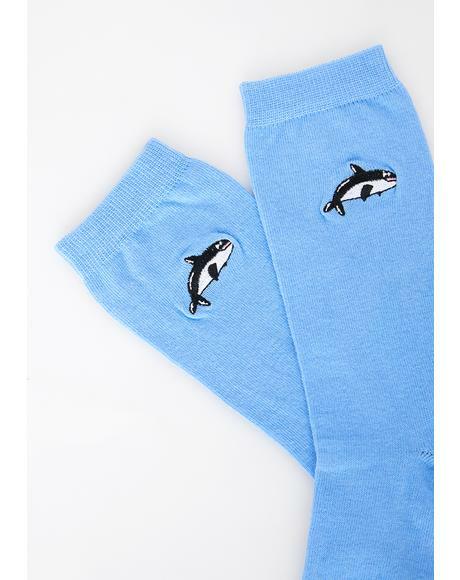 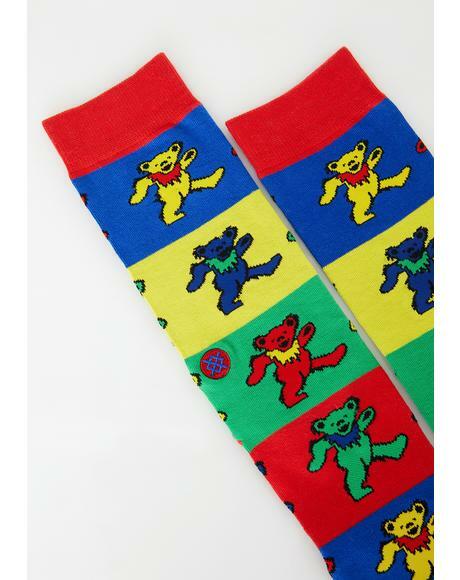 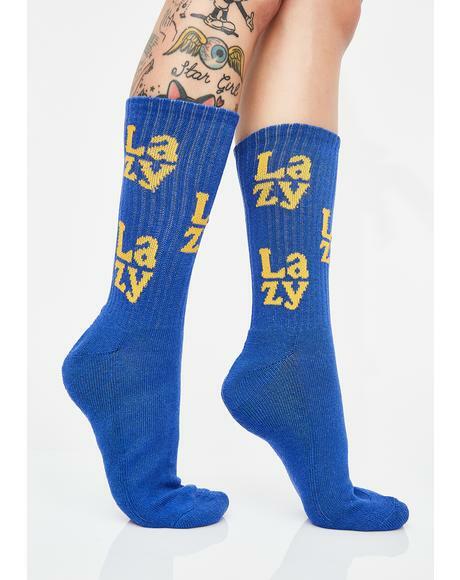 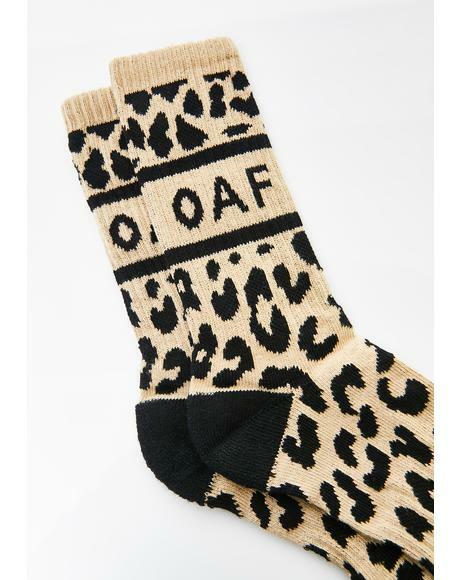 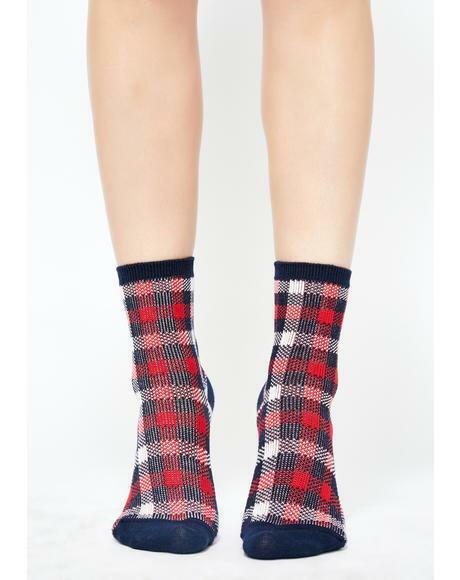 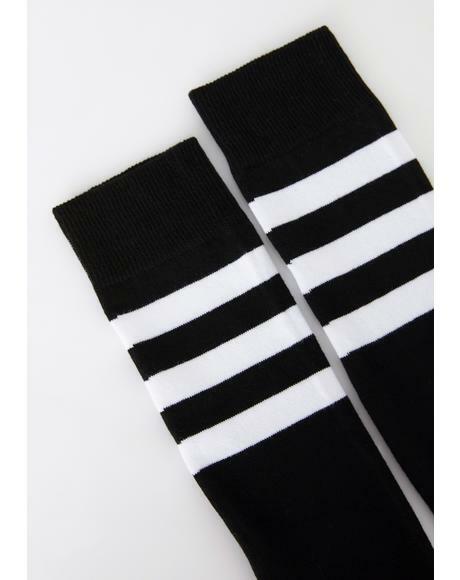 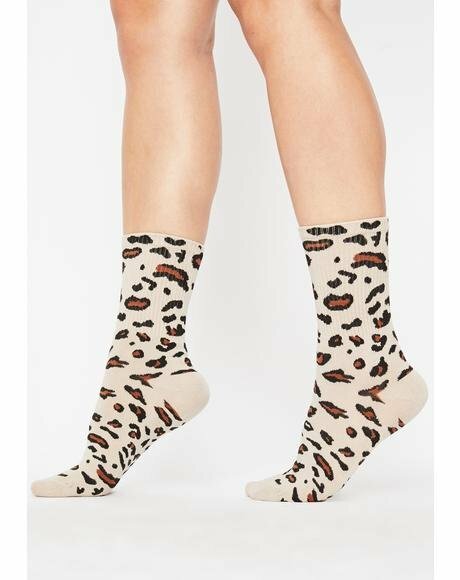 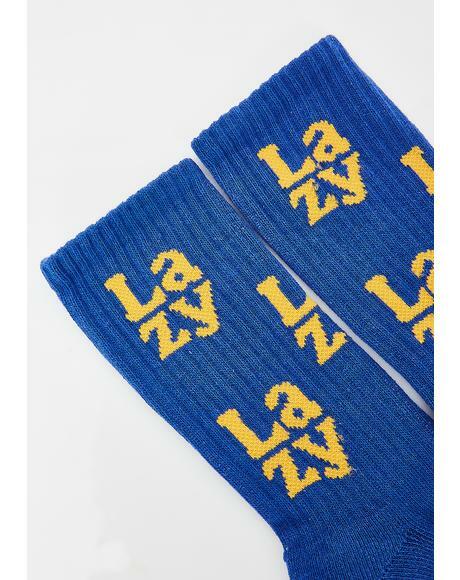 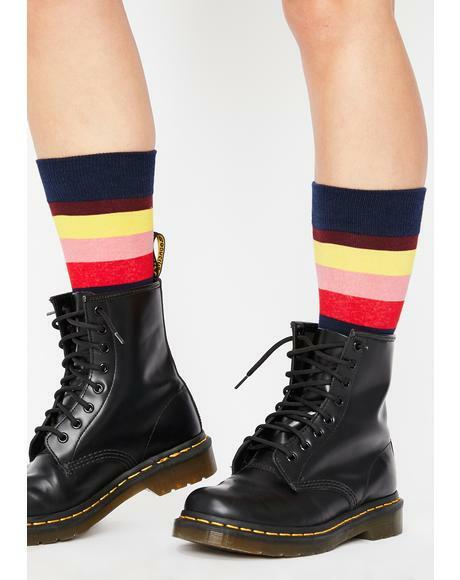 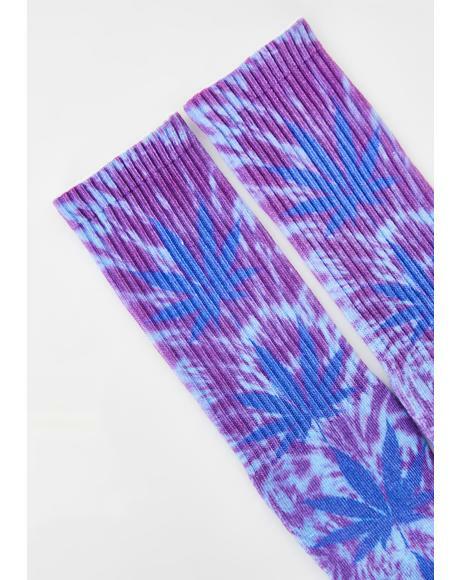 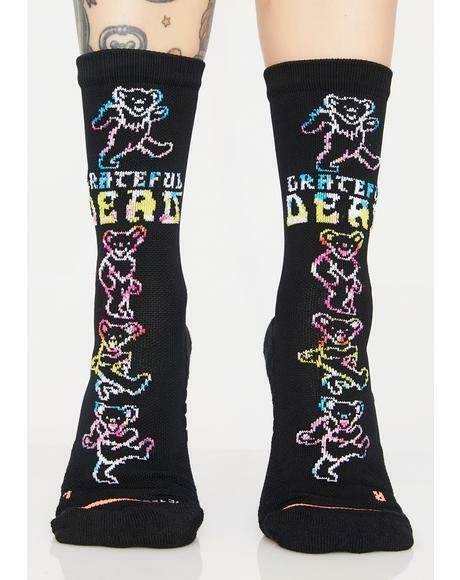 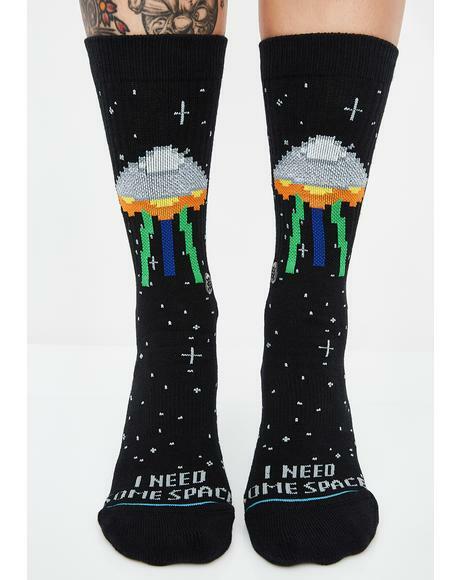 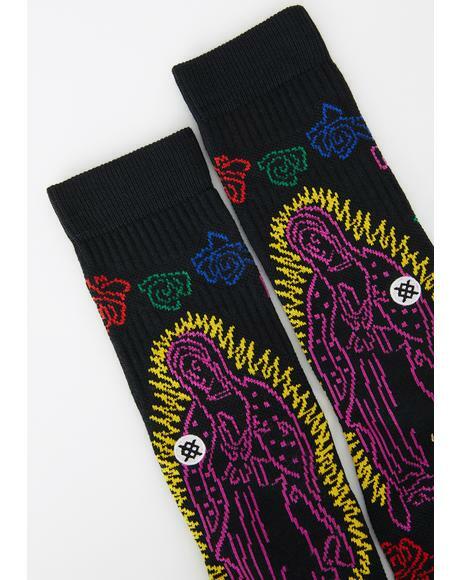 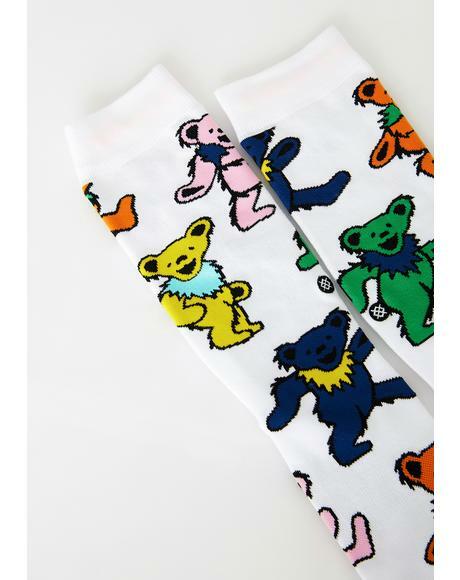 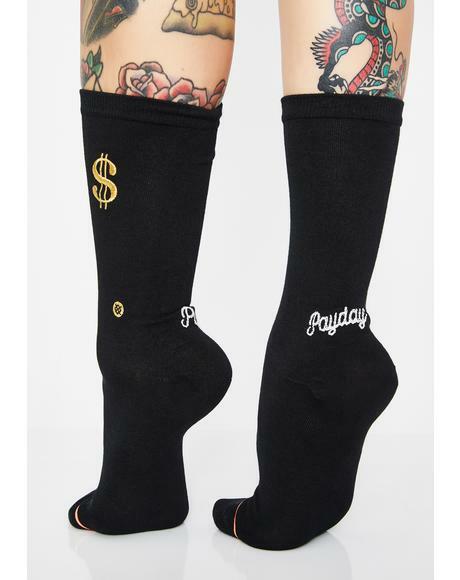 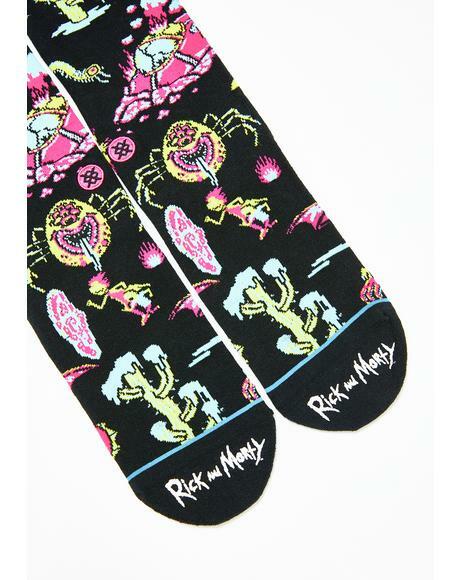 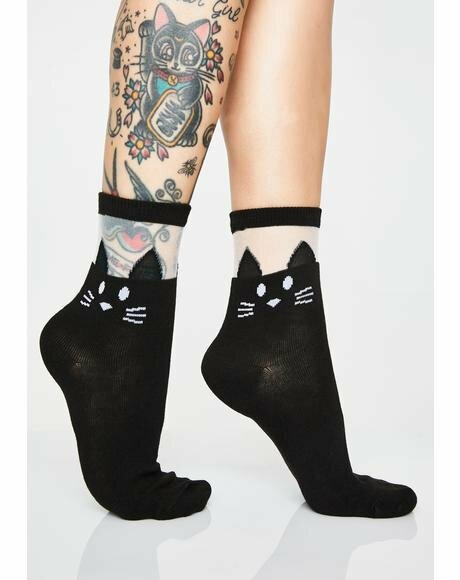 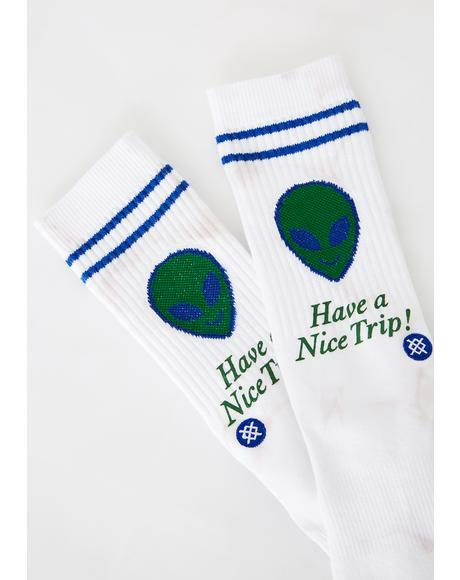 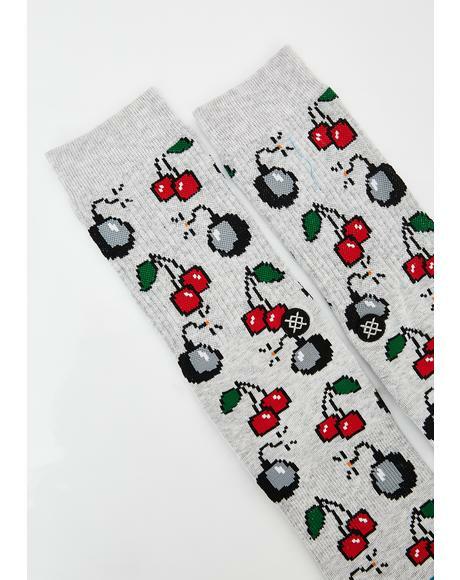 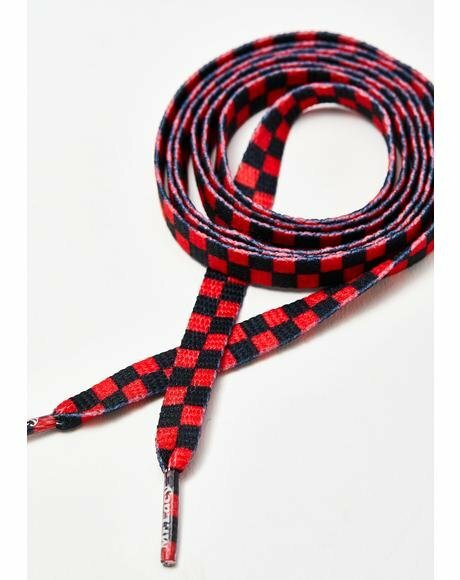 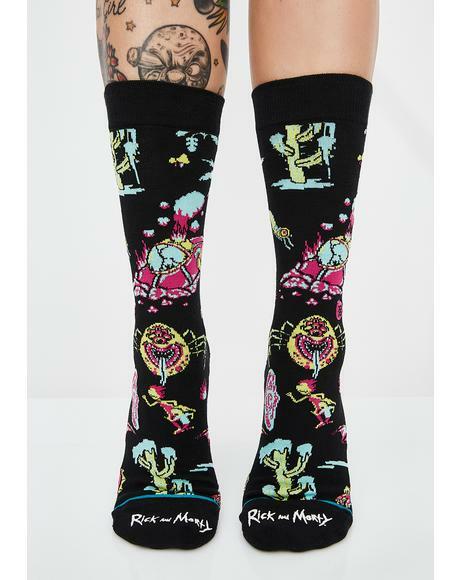 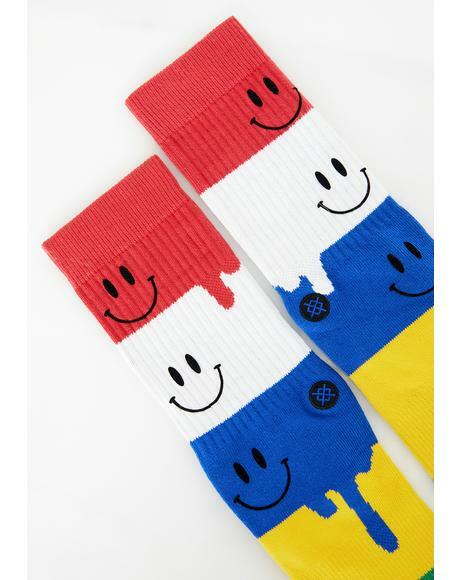 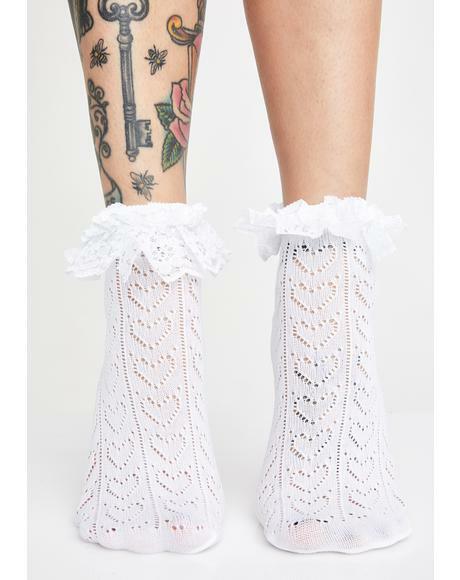 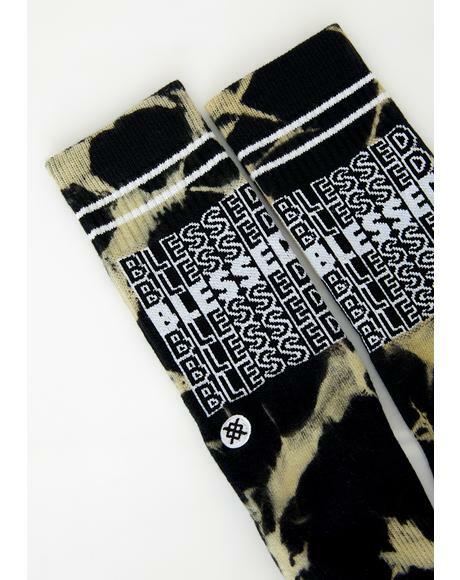 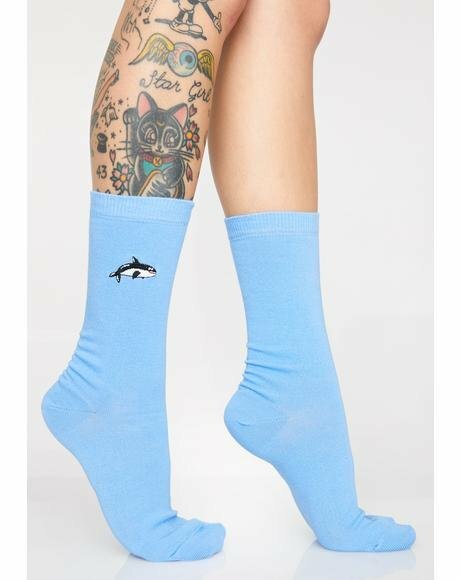 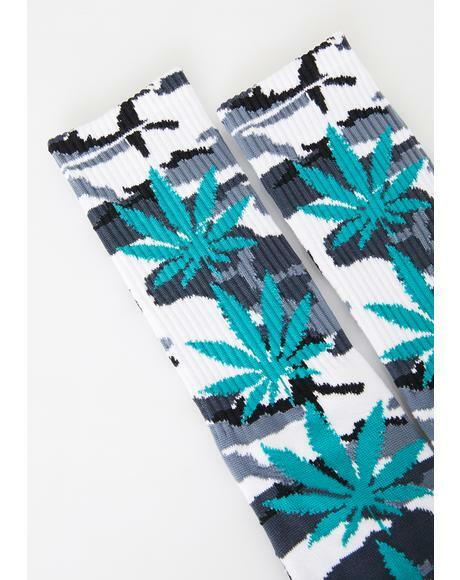 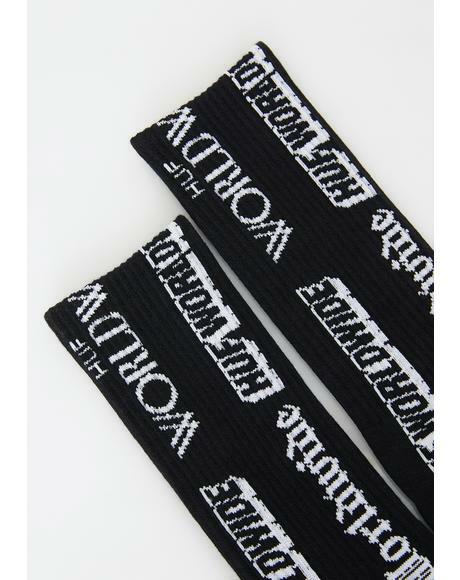 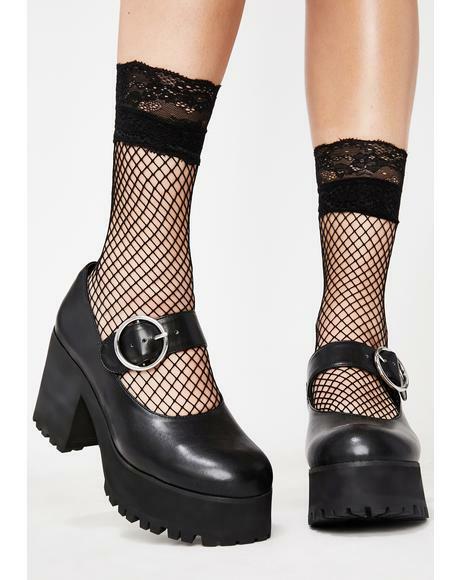 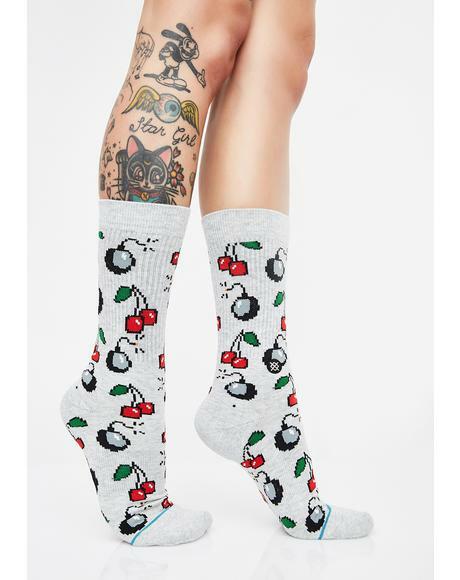 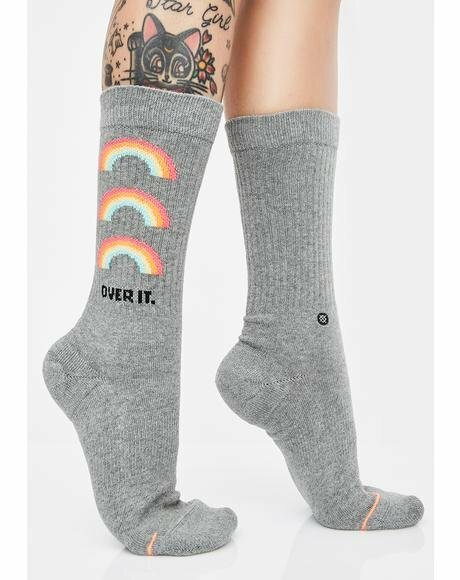 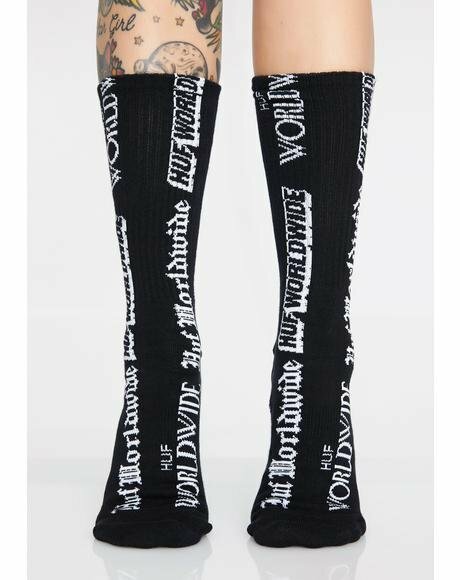 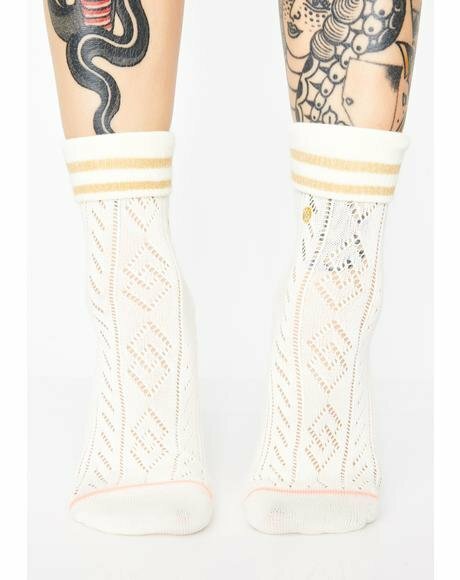 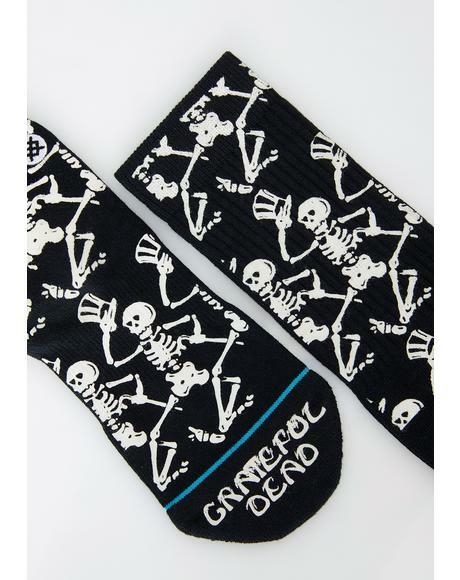 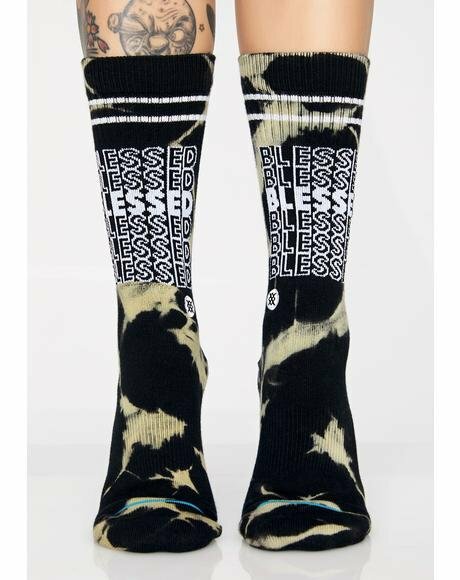 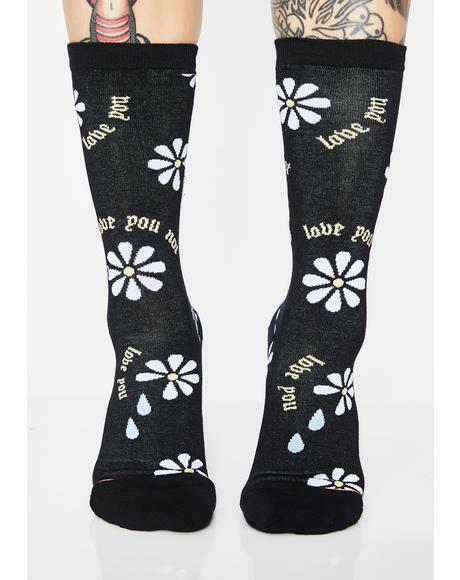 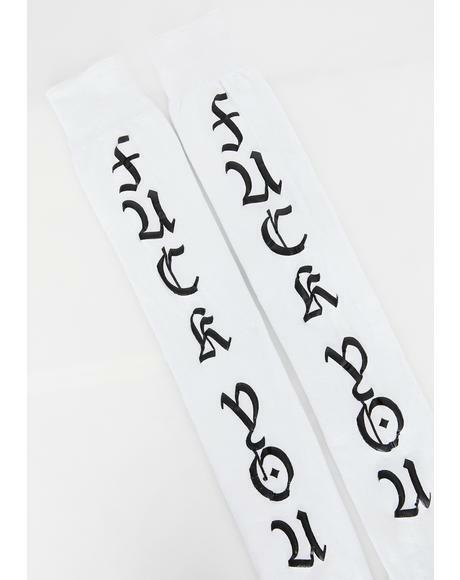 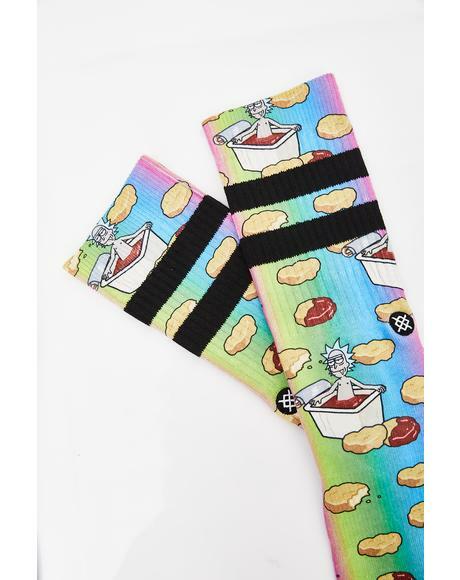 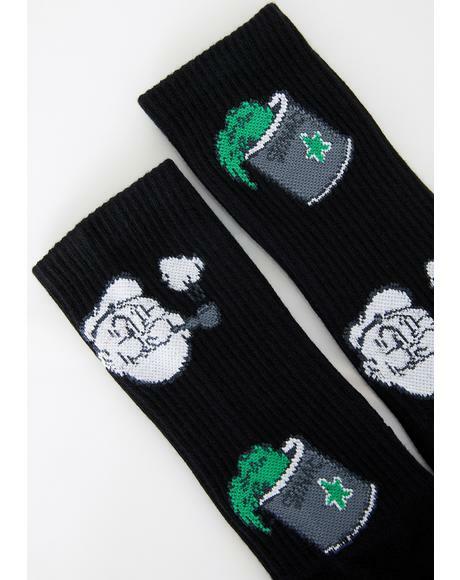 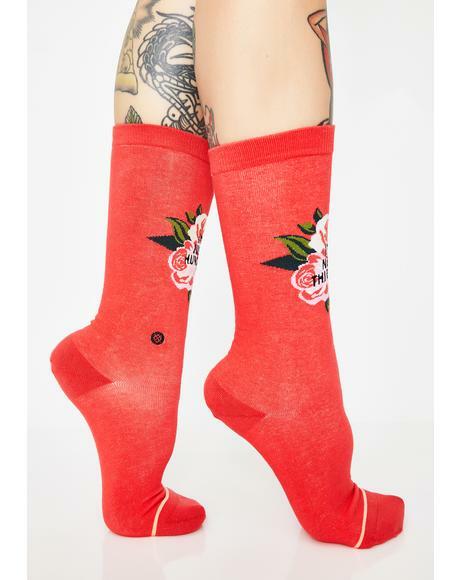 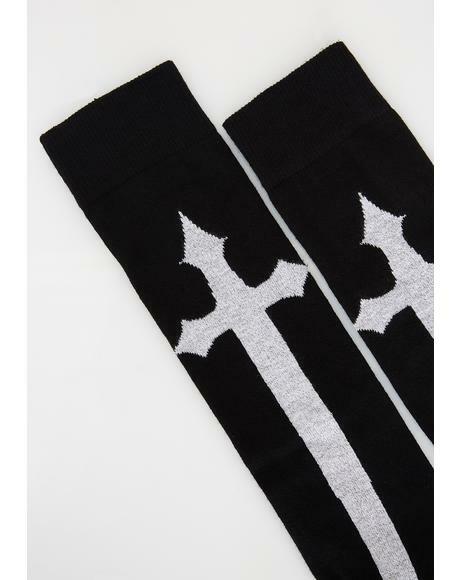 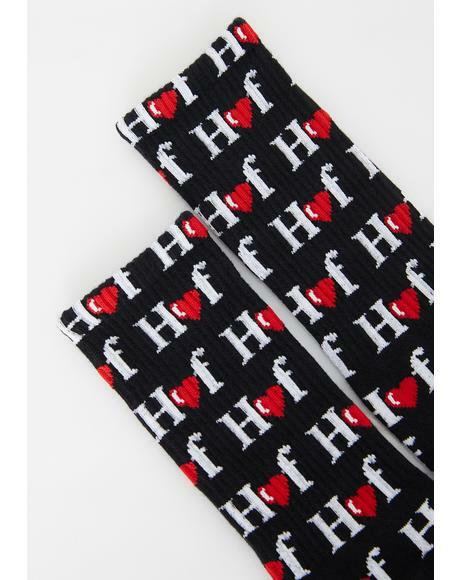 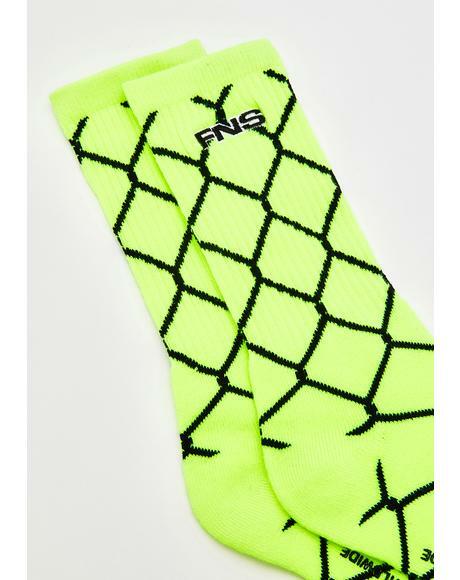 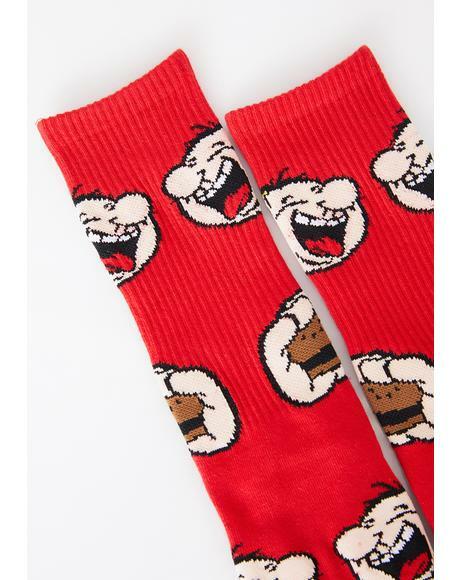 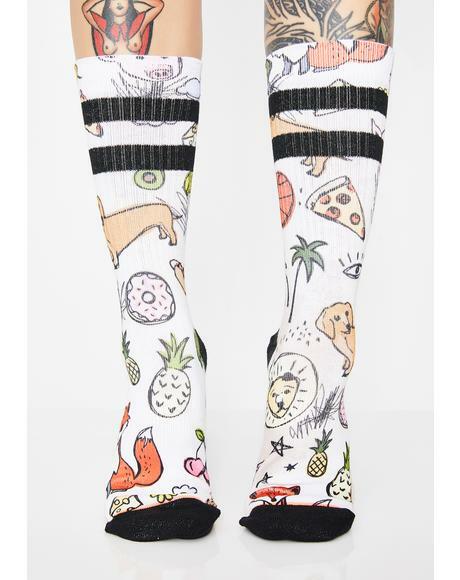 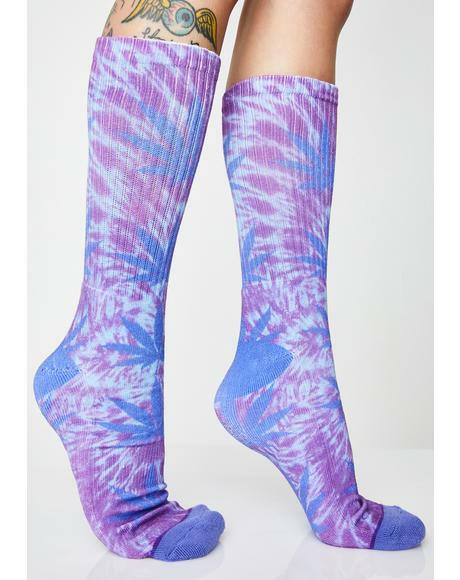 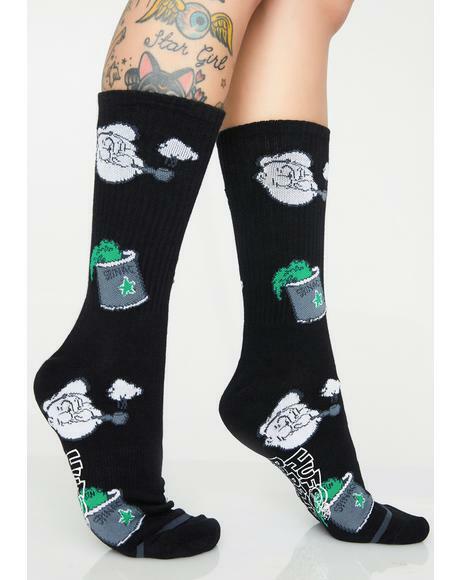 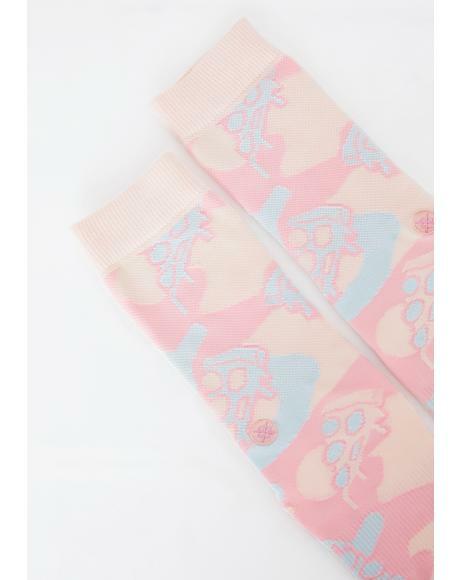 So show them some love in these dope af crew socks. 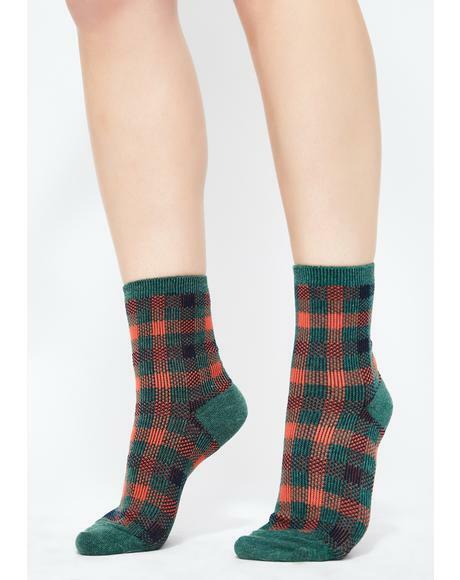 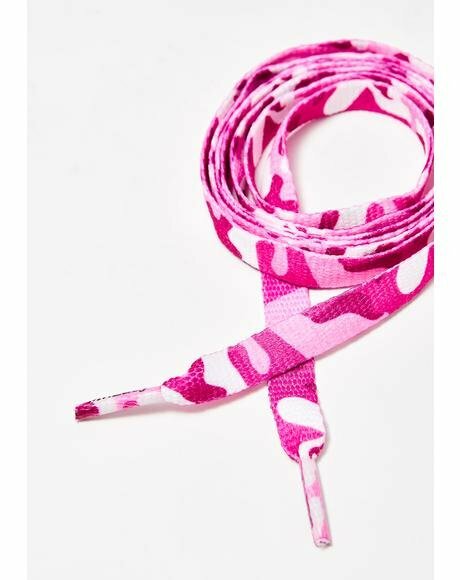 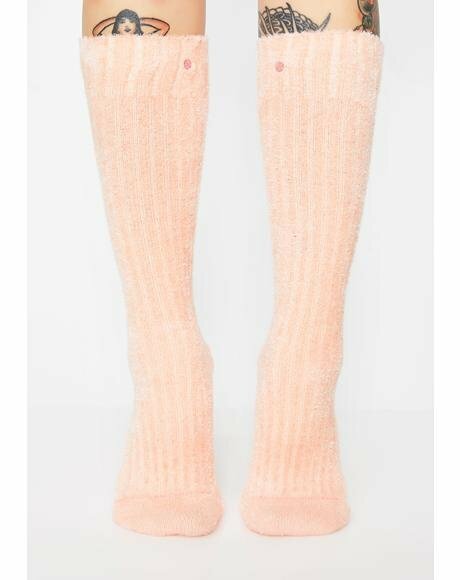 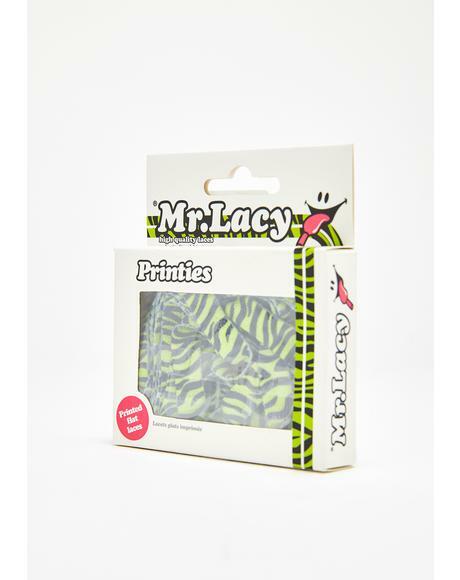 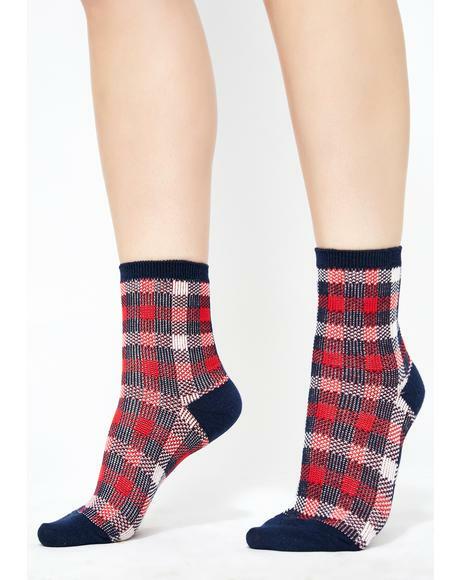 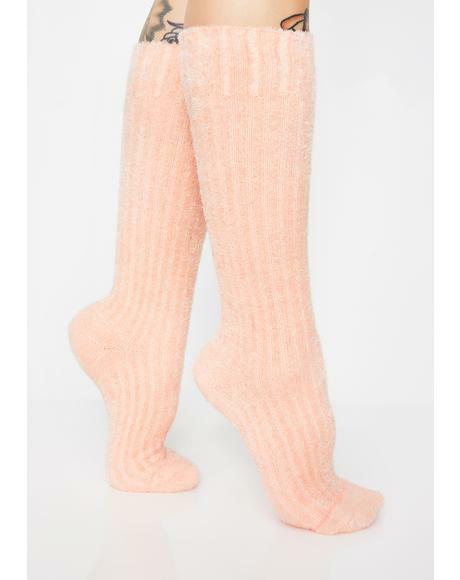 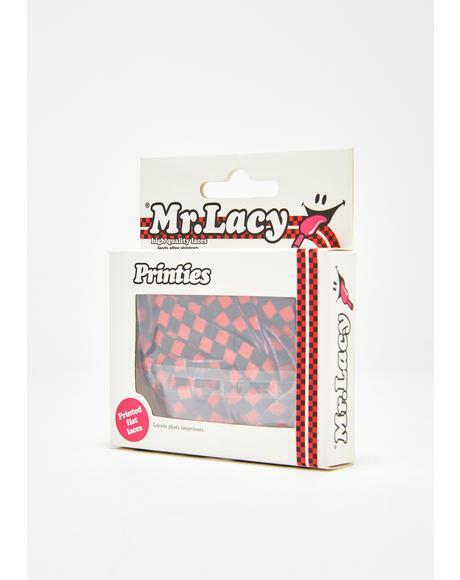 Suppperrrr warm and comfy holdin' your toes all together tight these socks are what's good. 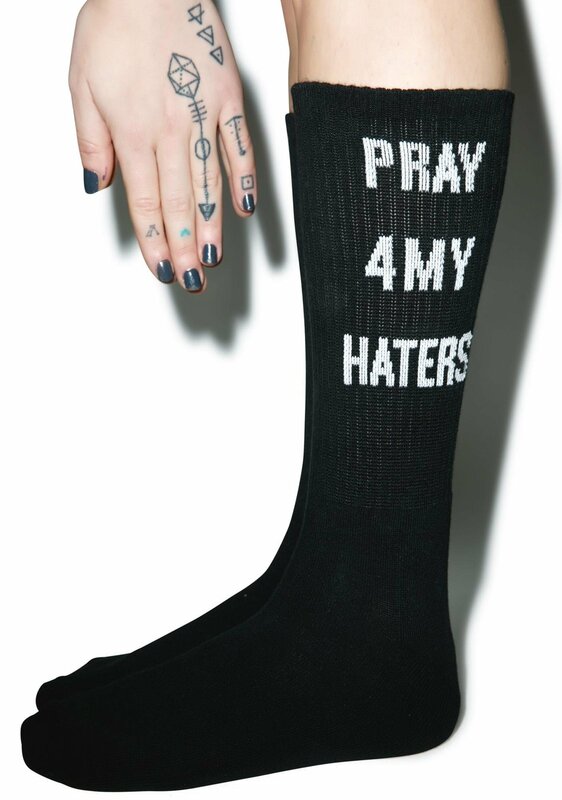 So say a little prayer fer yer biggest fans.